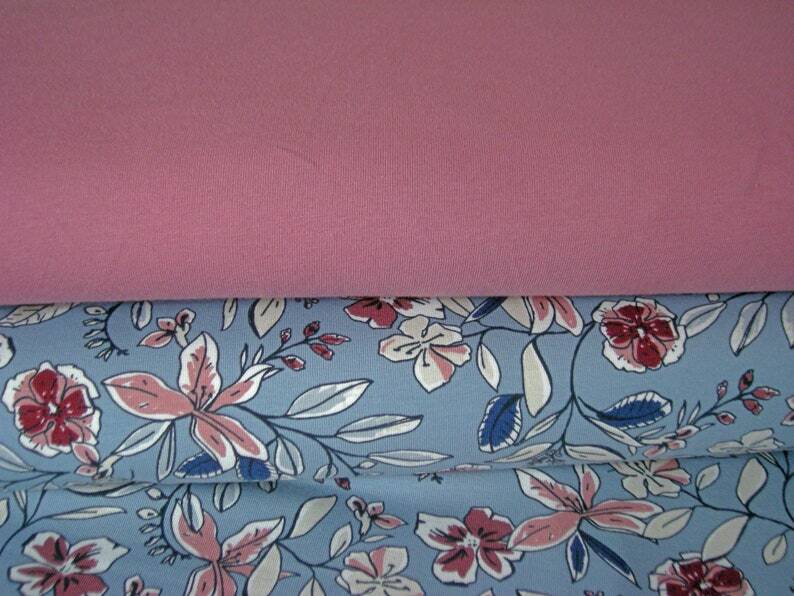 Dreamlike, very high-quality cotton jersey in beautiful floral design on light blue background with pink And berry. The flowered Fabric impresses with its wonderful Colour combination in different Shades of pink On a light blue background. Fittingly, the Fabric Package includes a uniform old pink cotton jersey.